Kandis is a photographer and mixed media artist who incorporates her love of travel into her work. 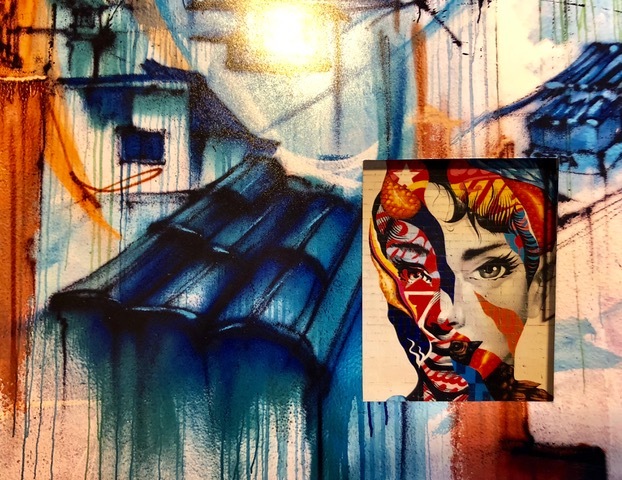 She seeks out street art around the world and creates shadow boxes that juxtapose those images. 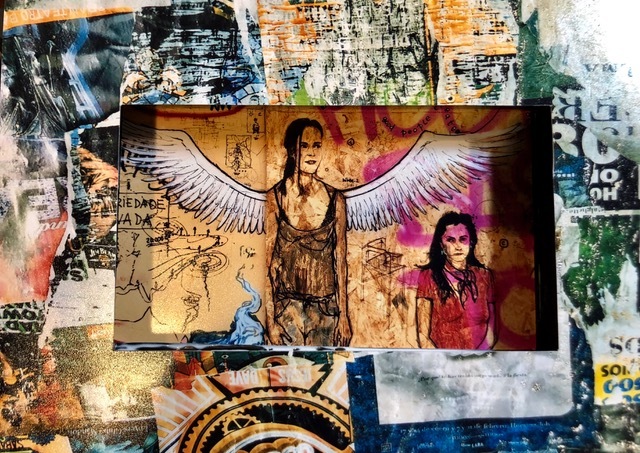 Her mixed media works are a combination of acrylic paint and image transfer built up over several layers. Image transfer is a type of ‘reverse collage’ that retains the original image, but the paper is removed, which allows the viewer to see what lies underneath. Come and see her latest artwork at Art at the Matador, May 10 and 11. Her work can also be viewed on Instagram: @kkhorton.